Round five takes us to San Diego, the city Ron Burgundy claimed to be the greatest city in the history of mankind. That might be a bit of hyperbole, but San Diego is pretty great. Moving the race to Petco Park, right in the heart of the downtown, was a great one in my opinion (others disagree). Fans can walk to restaurants and drinking establishments before and after the race and it just gives the whole event a different vibe. There are a few drawbacks like parking but overall, I love the changed location. The track for this year’s San Diego event might be muddy but let’s pretend it will hold off and give us a good event. The start is fairly short but thank goodness it’s back to the full 180 left. Last week’s fast bend to the left was a poor design in my opinion and caused several unnecessary incidents. This week’s start leads into a simple double jump and then another 90-degree left turn. There is a step on-step off into another bowl berm right. Look for a net here in this bowl berm before riders wind up for a big triple onto a tabletop. Most 250 riders won’t be able to triple on but look for the elite few to go for it. Whether riders triple on or opt for the basic double and then jump over, all riders will downside the single into another 90-degree right. The first long rhythm section will have a few options, but I think one will dominate. It will be to double out of the turn, triple, triple, and double into the next corner. Some will be forced to double their way through here, but the biggest line might need the return of James Stewart to execute. That option would be to go outside in the turn, triple in, quad the next four, and triple out. This rhythm lane has been used several times over the years and everyone always wonders if someone will go for it. It’s been done but usually at test tracks or Instagram videos. With the weather we are facing, I doubt it will be possible anyway. The next 90 right leads into a basic triple-triple section and into another 180 right. It looks like the track crew kept the 180 far from the stands to prevent the need for another net but maybe that changes when dirt hits the floor. The 180 leads to the first of two back-to-back whoop sections, which we will have in back-to-back weekends. As usual, whoops vary in height, steepness, and distance from peak to peak. If these are soft, and I am almost positive they will be, look for an Oakland-type rhythm to form in them. The finish line jump is just past the whoops so watch for the 250 B and C practices to have a tough time making the finish if the whoops are slow and prodding. An immediate right-hand berm sends riders into a short double before screaming past the mechanics and a fast S section. Look for block passing opportunities in the first bowl berm as the opening to the corner looks ripe for an ill-intentioned angle. That will put riders back onto the start for the beginning of lap 2. Overall, this track looks very difficult to pass on. The abundance of 90-degree turns is typical of baseball venues and allows the lead rider to protect his line more easily. 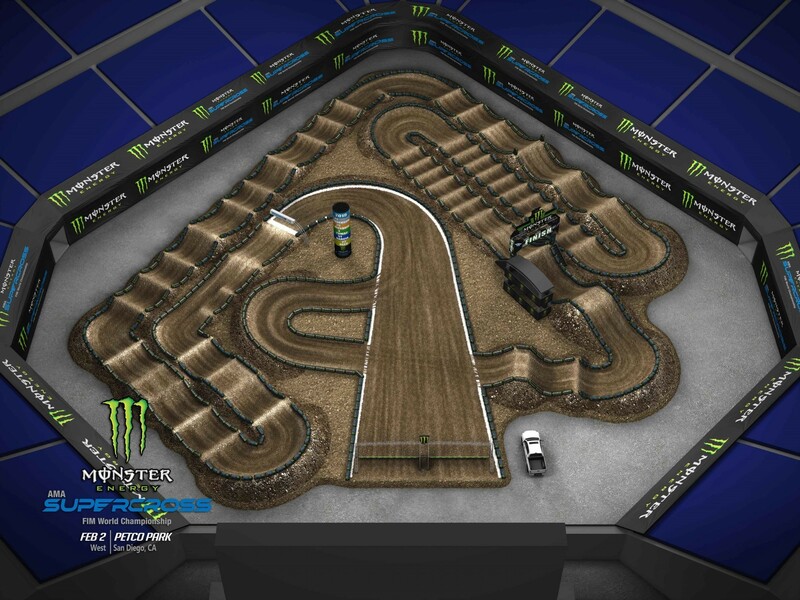 This track will force riders to press the issue in the whoops and utilize block passes in the 180’s. If it’s dry, this track will favor aggression and also make the start more critical. Is Cooper Webb for real? Why did Kenny look tired at the end of the Oakland main event? 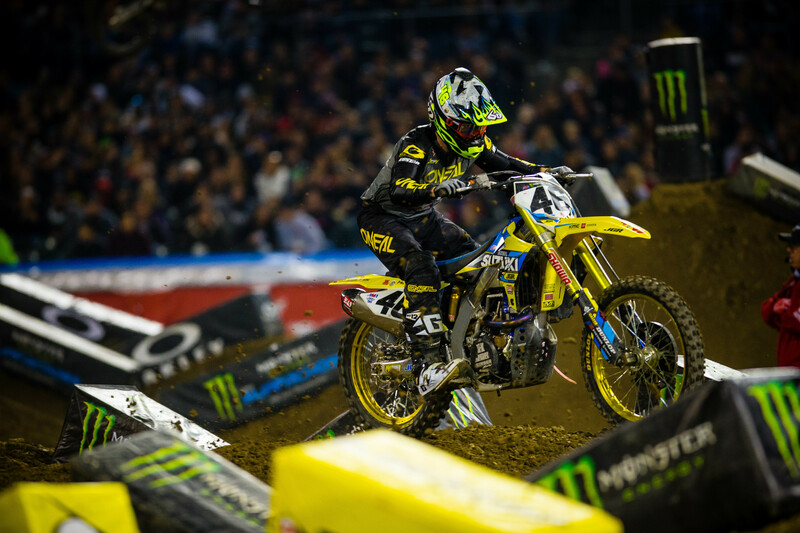 Where did Chad Reed’s starts go? Who wants this 250 title? AC92 bounced back from a rough Anaheim for the second time this season. Cooper Webb is straight sizzling after back-to-back wins which were also his first ever 450 wins. Marvin Musquin doesn’t have a win yet but trust me when I tell you that he is improving quickly. Dylan Ferrandis is putting himself in bad position to win races, but his riding is red hot. Jess Pettis may not be a contender to win or podium, but he is the pride of Canada. Matthes is always telling me about how that counts. Justin Hill hasn’t had that fire we saw at Glendale but more troubling, he looks awfully tired at the end of races. California weather has been a real problem thus far and looks ready for a deluge Saturday. Enzo Lopes is having a heck of a time out there. My fantasy team would like me to post something much more direct, but racing is hard, folks. Colt Nichols wins a muddy main event. 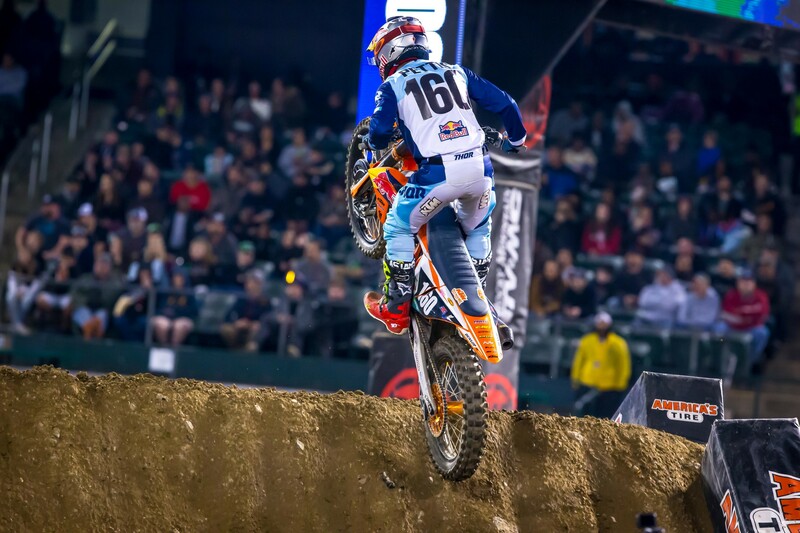 Marvin Musquin wins his first main event of the season. Chad Reed summons all of his super powers. San Diego, mud, and Chad Reed are a tough combo to contend with. Canada constructs a statue to honor Jess Pettis’ start to the 2019 season. Jerry Robin joins Oprah for a deep dive on his turnaround this season. If Jerry can change, anyone can change. 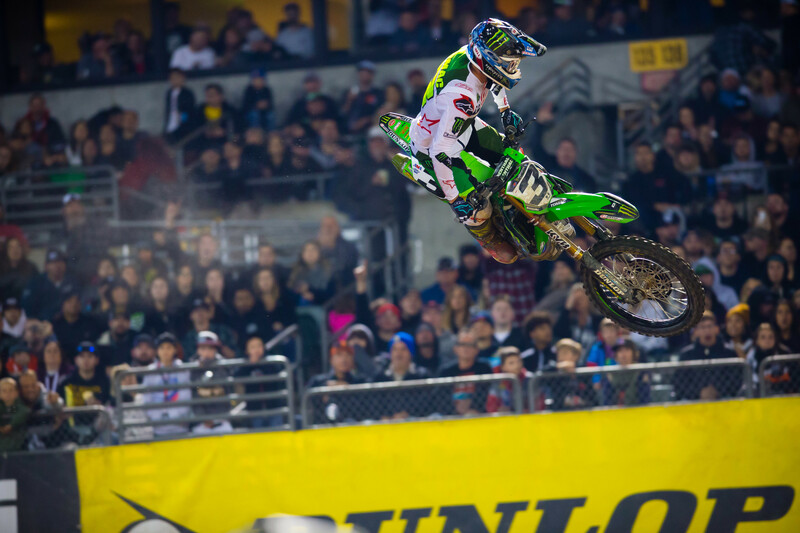 Adam Cianciarulo is dropped by his insurance provider after his first few laps are shown nationwide on NBC.